Attack water fun on this great super-sized swimming pool action rider. 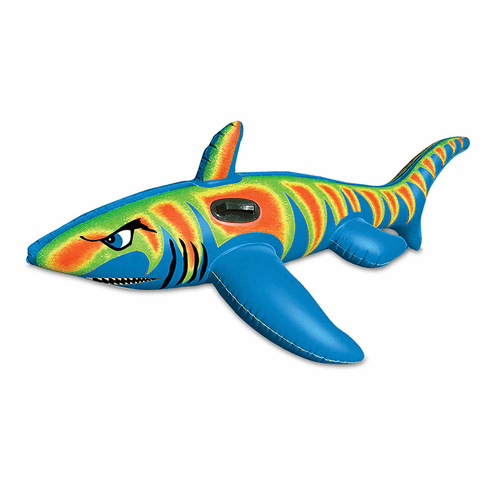 Colorful tiger shark design with 2 permanently bonded handles. Tough vinyl construction with non-scratch safety valve. 72"x44"